Scientex partner Applied Photophysics, as part of their continuous improvement initiative to better serve the scientific community have introduced some recent changes to their Circular Dichorism spectrometers. Chirascan Q100 provides detailed insight into the Higher Order Structure (HOS) characteristics of complex biomolecules. Reproducible robotics and high performance CD spectrometry combine to generate quality data compatible with the most stringent statistical analysis methods. The result: objective, statistically-validated HOS comparisons. 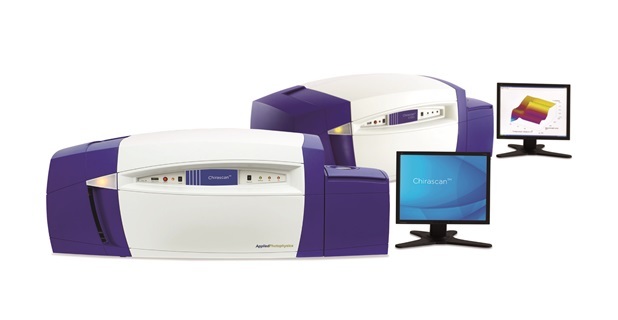 Suitable for studying chiral molecules of all types and sizes, the sensitivity and accuracy of a Chirascan V100 CD spectrometer ensure that researchers get the most from every CD analysis, generating high quality data that contribute to a deeper understanding of biomolecular characteristics, mechanisms and interactions.